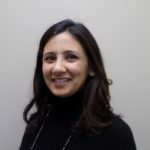 Samina Sabir, Communications Director at DocuWare. Manages internal communications and media relations for the company. Samina has over 20 years of experience in marketing, communications and public relations in the travel and lifestyle industry. Most recently, she led marketing and public relations activities for destinations such as Kyoto, South Tyrol and Qatar. Prior to that she managed the communications for the North American representative of major European railroads. Samina grew up in England and Ireland. She earned a B.A. in English and Italian from University College Cork. She holds a diploma in Marketing and French from Dundalk Institute of Technology and completed a communications course at New York University. Outside of work, she enjoys gardening, reading, traveling and cooking.